While conducting my Master’s thesis field work in rural China this Summer, the most common string of Chinese-Mandarin words that were either said to me, said about me, or I said myself, were “Tīng bù dǒng”, which roughly translates to “I hear you but I don’t understand you”. That phrase most concisely characterizes the communication challenges I faced, while also reflecting mine and others willingness to communicate across a difficult language and cultural barrier. My blog is a reflection on the challenges, but also unique opportunities that arise, when conducting research based international field work in the context of a language barrier. Sierra standing in front of one of her favourite views in the region. The study site is 1000-13000 meters above sea level on the edge of the Tibetan Plateau. To provide some context: I arrived in China in May 2016, equipped with a lonely planet guide book to Chinese, a translation dictionary on my phone, and an undergraduate research assistant who was fluent in both languages (she was with me for 1 month out of 3). I had also prepared this year by playing Chinese language games, keeping a journal in Pinyin (way of writing Chinese using the Roman alphabet) and I listened to Chinese podcasts (with little success). Needless to say, I felt pretty good about myself and ready to take on Zhōngguó [China]. My confidence in my abilities was soon shattered after I arrived. I had been teaching myself the wrong pronunciation for almost every letter (or combination of letters), and I was utterly failing at enunciating the tones correctly. When I reached my small village in Sichuan Province, an additional barrier arose as I now had to translate from English, to common Chinese-Mandarin, to the local dialect spoken in Sichuan. I had the help of my research assistant for one month (she literally saved my life), and I lived with a Chinese colleague who was functional in English, but soon enough I was on my own with the challenge, but also the amazing opportunity, to tackle this communication conundrum and hopefully learn something from it. Standard communication when there is a language barrier is difficult to overcome, and trying to communicate research terms, research equipment, and research protocol is even more intricate in this context. When communicating with the field staff in Chinese, I was at a loss for how to ask for things like: “where is the flow-rate calibration Rotameter” or “does the grease on the impaction surface have any air bubbles in it?” (the grease catches the larger Particulate Matter (PM) particles so that we can collect PM in aerodynamic diameter <2.5 μm on our filters for analysis). Additionally, I implemented a questionnaire that asked questions about participants use of the intervention cook stove (1) and their likes, dislikes, and preference for it over other stoves in the household. It took me and the team a week of piloting, and five iterations, to finally get a questionnaire that could be translated into the local dialect and the questions were locally and contextually relevant. However, even months after the piloting phase, I am still finding that some questions and responses are interpreted differently then I intended them. For example, a stoves “a. cleanliness” was meant that the surface was clean (i.e., devoid of grime) but many participants interpreted that to mean the stove emitted less smoke. Troubleshooting these issues in the field with the team required patience and persistence, and an ability to find creative ways to communicate the solution to each other (did I mention phone translation dictionaries are amazing). I also ran into troubles when I was the one collecting the data directly with the participants. Often I took on the task of taking blood pressure measurements. Our standard protocol was that participants had to sit quietly in a restful state for five minutes before the measurement began. Sometimes when I tried to communicate this, I ran into more trouble when when I said to the participants xiūxí wǔ fēnzhōng [rest five minutes] or bù shuōhuà [no talking] as they would get more excited because a wàiguó rén [foreigner] was talking to them in Chinese! I found using my body to indicate what I wanted was very effective. I could direct someone to stand on the weigh scale, sit down and put their right arm on a pillow, rest for 5 minutes, and tell them that their blood pressure was low [bù gāo]/ a little high [yidiǎn gāo]/ high [gāo], all by becoming a master at the game Charades. The field staff are preparing the equipment for the day. They are cleaning the Personal Exposure Monitors (PEMs) and placing filters inside them. When the PEMs are attached to an active pump and worn around the waist in a waist pack, they collect data on how much air pollution (PM2.5) someone was exposed to over 48hrs. I took the ease and convenience of casual conversation in a familiar environment for granted before I came to China. I now know that when you are the one speaking the foreign language, the time that people give you is precious. My perspective changed after I asked my neighbors to repeat their sentence for the 4th time, when they patiently listened while I tried to stumble my way through a terribly pronounced sentence (which likely made me sound like a child), and every word was enunciated wrong so when I was really asking for the toilet they probably heard me say “why is the dog wearing my t-shirt”? The village became my classroom and the villagers were my teachers. I also came to appreciate the way that I was learning Chinese in Sichuan. If I was working with a tutor in Canada, or speaking to someone who had excellent Chinese and English, there would be no mutual benefit (except for the monetary transaction for their services). Recently, two of the field staff I work with have really taken to learning Yīngwen [English]. When I first arrived, they could say a total of three phrases: “hello”, “goodbye”, and “it’s lunch time!”. Two months later, if I talk slowly, enunciate purposefully, refrain from using jargon, and play a little game of Charades, I can get almost any point across. When we hop into our van and head out to do our work for the day, we each come equipped with our “how to learn Chinese/ English” books. If I ask a question in Chinese, they will try to respond in English. If I want to know the Chinese name for something, they then need to know what it is in English. I love this mode of learning. Neither of us are experts in both languages, we are Lǎoshī in one and Xuéshēng in the other. Its fun, its playful, and its mutually beneficial. The other day one of the staff told me (written on her phone translator) that she was “gradually learning to love the English language”, and I could have jumped for joy I was fēicháng gāo xíng [E: very happy]. 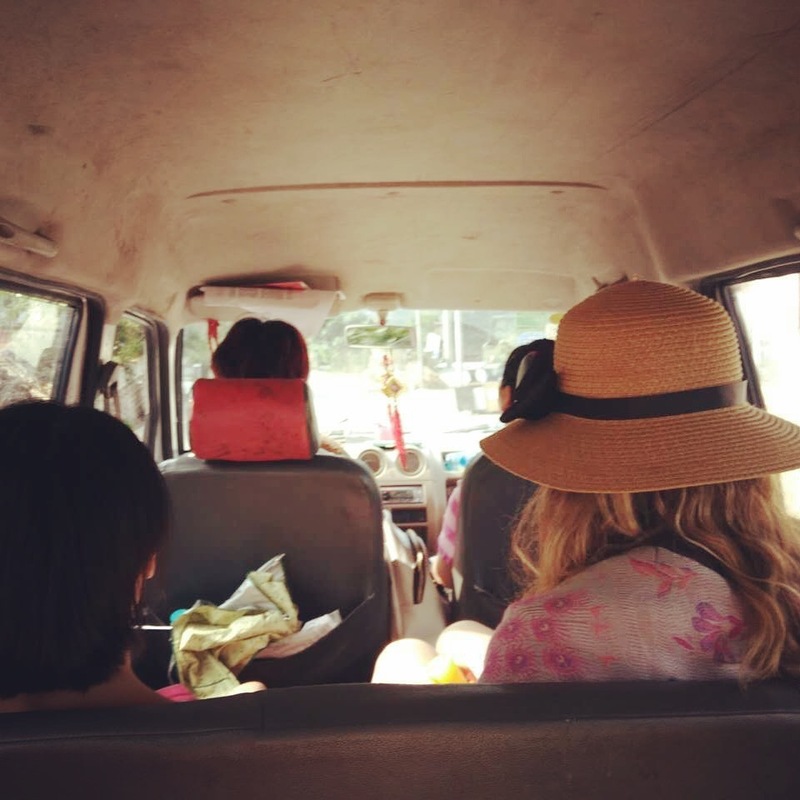 Sierra and the field team head out for the day to collect air pollution and health data in the Tibetan Plateau. Car rides are a prime time to practise Chinese and English for the team. Acknowledgements: Much thanks to the wonderful field staff who continue to teach me new words every day, the villagers whom have included me into their lives, and my research assistant who helped me survive my first month. Funding for my research this Summer was provided by McGill Global Health’s “Norman Bethune Award’, The National Geographic Societies “Young Explorers Award Program” and Mitac Canada’s “Globalink Research Award Program”. Funding for the larger project was provided by the US Environmental Protection Agency (EPA) STAR program. The opinions in this blog are entirely my own and do not reflect those of the granting agencies. Sierra is a second year Master’s student in Epidemiology and an Institute for Health and Social Policy graduate intern at McGill University. 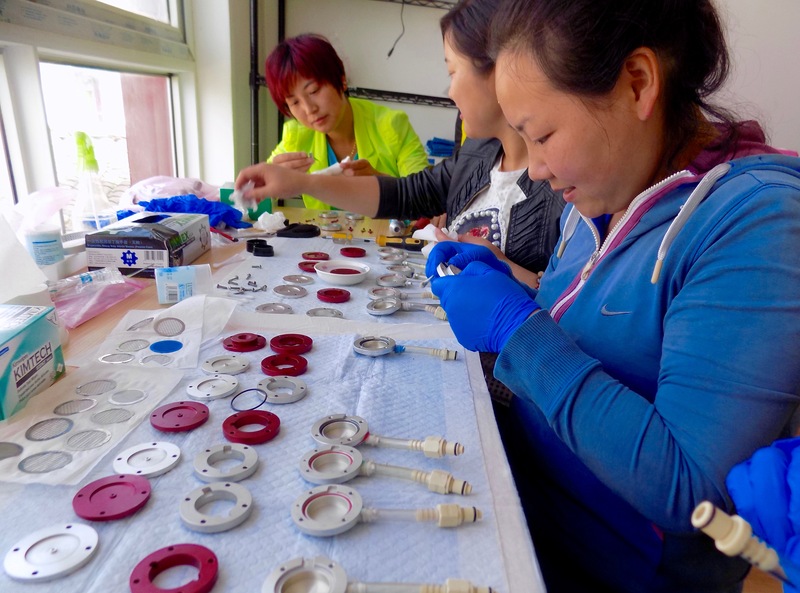 She is currently in rural China collecting data for her thesis on the air pollution and health impacts of a clean cook stove intervention which is aimed at reducing household sources of pollution. Sierra received her BA (Hon) in Geography from McGill, focussing her research on climate change and infectious disease in rural Uganda. Sierra is currently a National Geographic Young Explorer and a Mitacs Globalink International research award holder, and she is an active member of the Baumgartner Research Group at McGill. 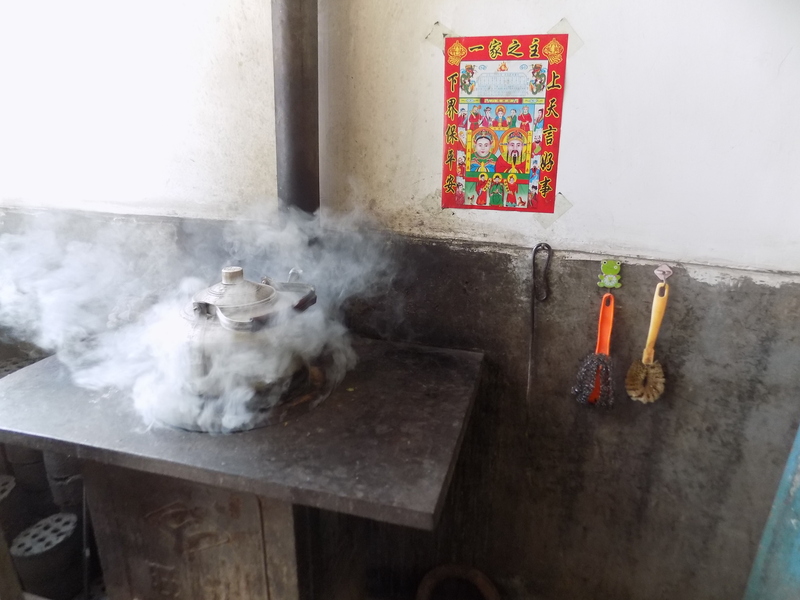 (1) Among a study population of 204 homes in 6 rural villages in Sichuan Province, we installed intervention semi-gasifier biomass burning cook stoves that take processed biomass pellets (processed at a nearby factory) as fuel into 117 homes (the other homes act as controls). The intervention stove emitted less PM2.5 during lab tests. 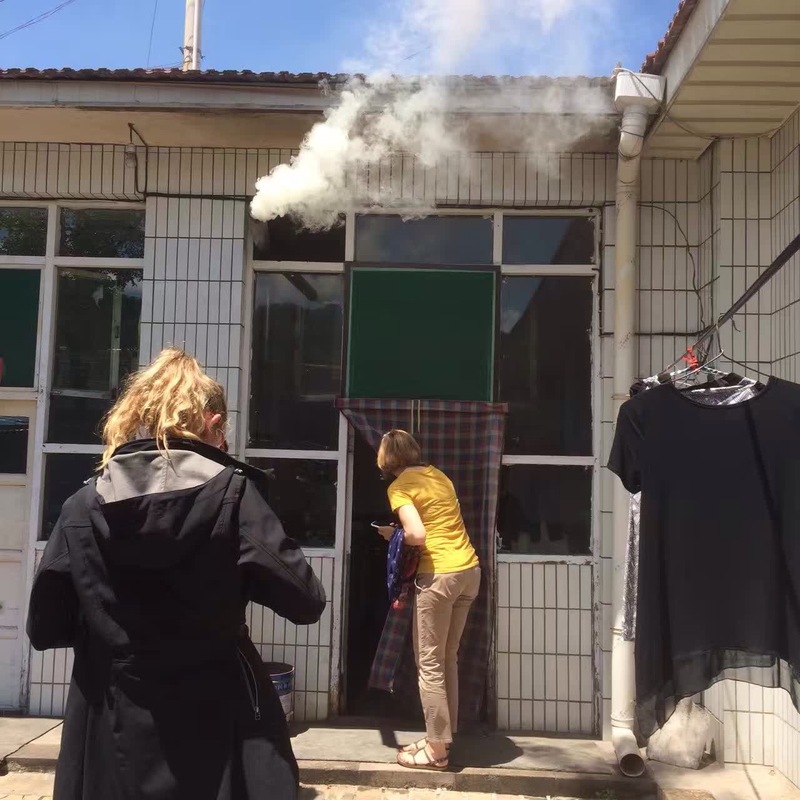 We are now testing how the intervention preforms in real life conditions in the field: i.e., whether people use the intervention stove, whether people are exposed to less, the same, or more air pollution, and if their cardiovascular health is improved. Published by globalhealth on September 2, 2016 at 10:43 am under Field notes. 0 comments. Almost half the world’s population cooks with biomass fuels in inefficient stoves that emit high concentrations of toxic pollutants (Bonjour et al. 2013). The resulting household solid fuel combustion is thought to be a major contributor to ambient pollution with regional and global climate impacts and is a leading environmental health risk factor (Lim et al 2013, Amann et al 2008). Notably, use of solid fuels in China is the leading environmental health risk factor and contributes to an estimated 37% of the country’s total ambient Particulate Matter (PM2.5)emissions (Amann et al 2008). Ambient air quality in China and the surrounding regions have rapidly deteriorated in recent decades with high concentrations of ambient PM and other health and climate-relevant air pollutants (Zhang et al 2011, Heald et al. 2006). Further, black carbon aerosols from household solid fuel use in the Tibetan Plateau are thought to significantly contribute to glacial melting (Xu et al 2009). Cleaner-burning stoves and fuels can potentially reduce household air pollution concentrations and exposure (Ezzati 2002). 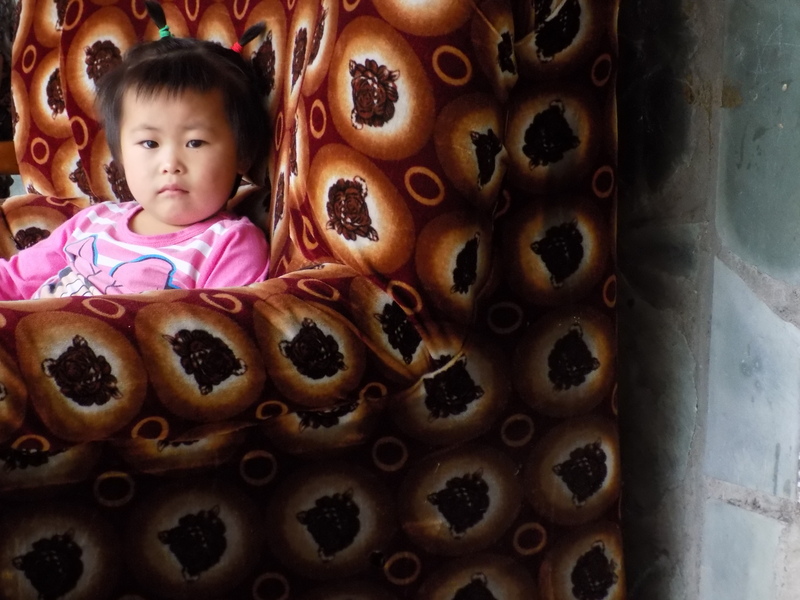 My research measures the potential environmental and health benefits of transitioning households to low-polluting semi-gasifier stoves and processed biomass fuels in a study site located on the eastern edge of the Tibetan Plateau, China. Photo 1: Water is heated on a traditional chimney stove in Shanxi Province, China. Coal is used as fuel which, when burnt, can release a large amount of toxic air pollution into the home through inefficient combustion. Photo 2: A traditional chimney stove in a rural village in Sichuan Province, China. These traditional stoves use biomass (wood and/ or crop residues) as fuel for burning in an open chamber which release smoke into the kitchen. 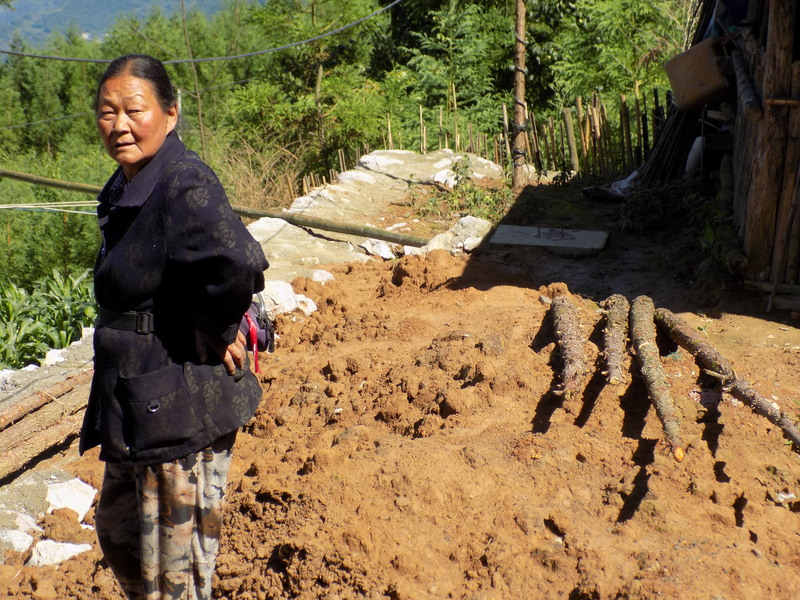 Photo 3: A woman in a small village in Sichuan collects wood (fuel) to burn in her traditional stove. 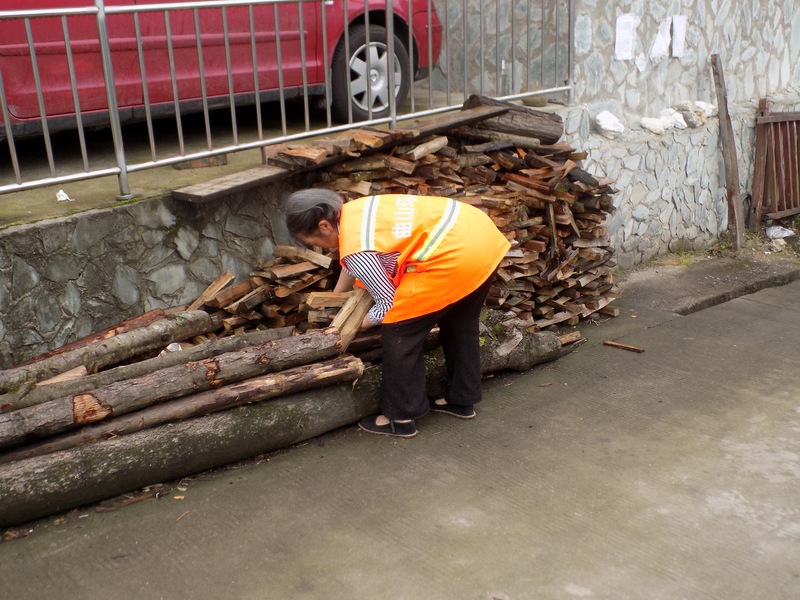 Harvesting and collecting firewood can put an additional burden on households as it requires time that could have been spent doing other things. Photo 4: Myself and another researcher go into homes to talk with women about their household cooking practises. Above me, smoke is being partially vented out of the kitchen by a chimney, but the unvented smoke remained in the kitchen with the cook. Photo 5: Household burning of solid fuels for cooking and heating contributes to about 30% of China’s ambient air pollution. Photo 6: A woman participant is having her blood pressure taken by a member of our field staff. 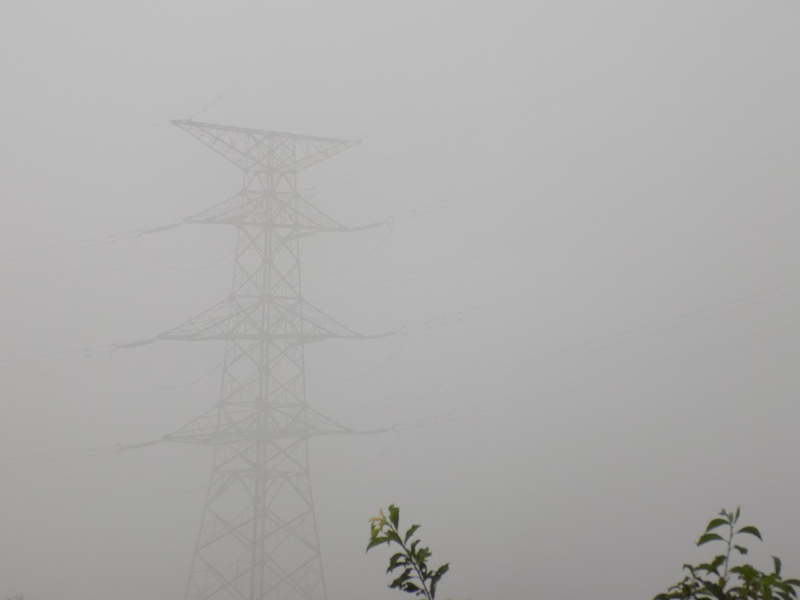 Research shows that chronic as well as acute exposure to air pollution is associated with both short and long-term changes in blood pressure, which is a known risk factor for adverse cardiovascular events. 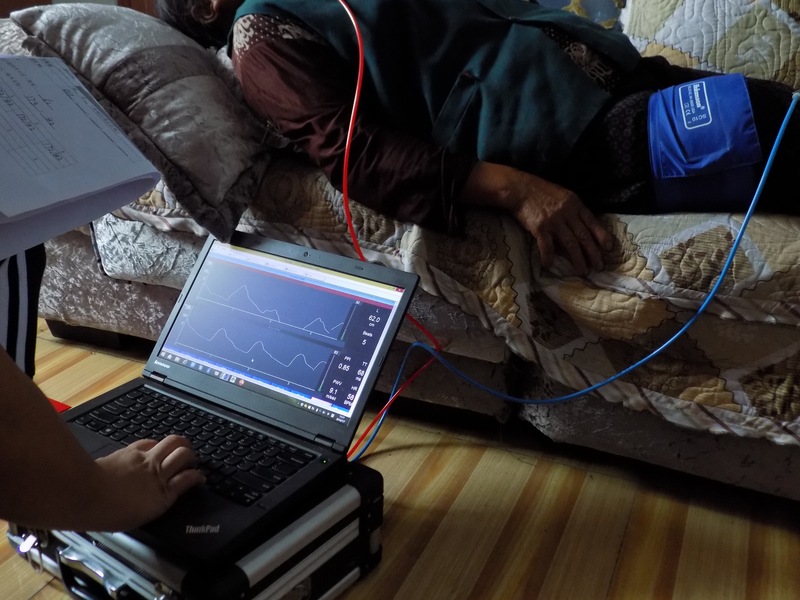 Photo 7: A woman participant is having her pulse wave velocity taken by a member of our field staff. Some research indicates that exposure to air pollution is associated with increases in pulse wave velocity, which is an indicator of cardiovascular health. Photo 8: A woman participant in our study is wearing a waist pack with a Personal Exposure Monitor (PEM) inside. The PEM actively collects 48hrs of PM2.5 mass on a filter which is later analysed. 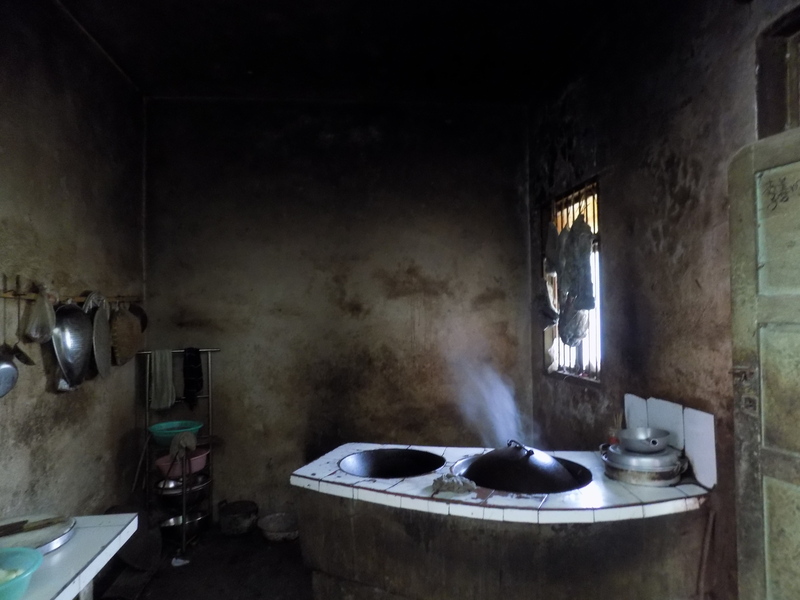 Woman are often the most exposed to household air pollution, particularly in this setting, as they spend the most time near the sources of pollution (i.e., cooking-heating stoves). 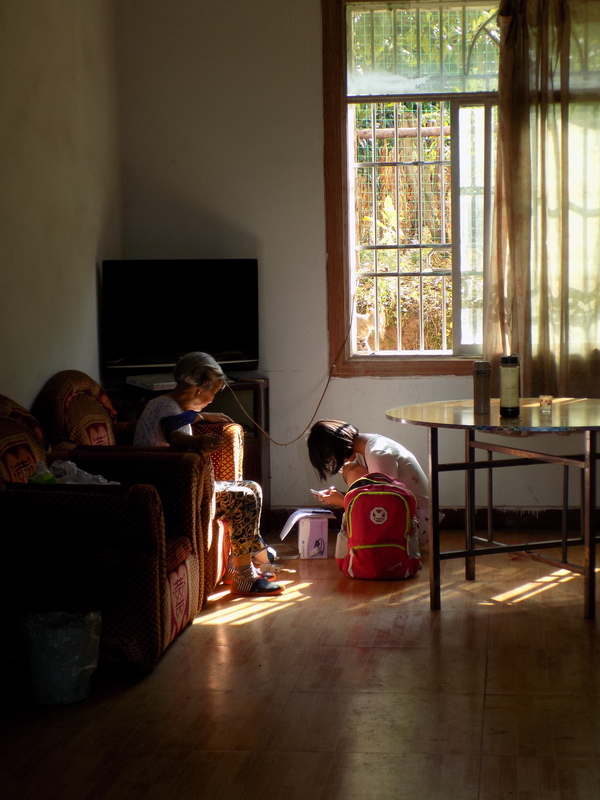 Photo 9: Young children are particularly vulnerable to the health impacts of indoor air pollution. Not only are they biologically more vulnerable than adults, but they may also spend more time near the sources of pollution – indoors and alongside women in the household who are cooking. Sierra Clark is a second year Master’s student in Epidemiology and an Institute for Health and Social Policy graduate intern at McGill University. 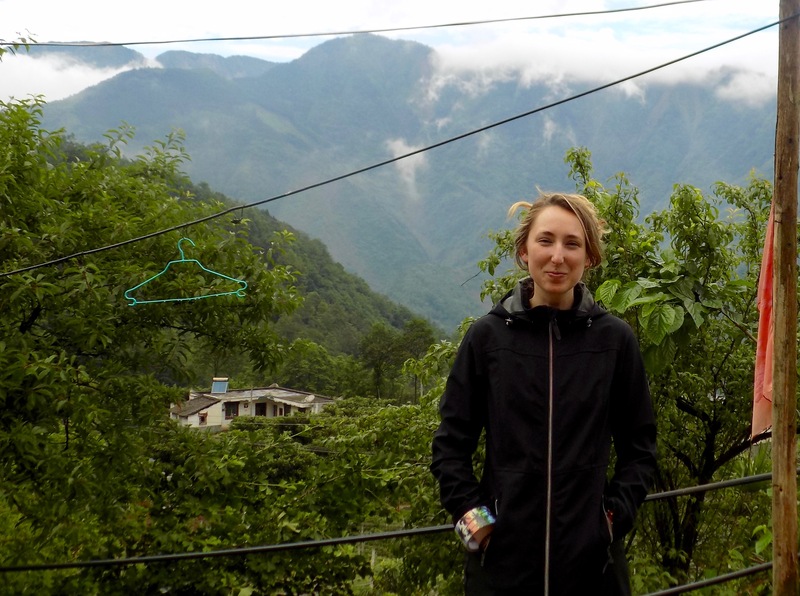 She is currently in rural China collecting data for her thesis on the air pollution and health impacts of a clean cook stove intervention which is aimed at reducing household sources of pollution. Sierra received her BA (Hon) in Geography from McGill, focussing her research on climate change and infectious disease in rural Uganda. 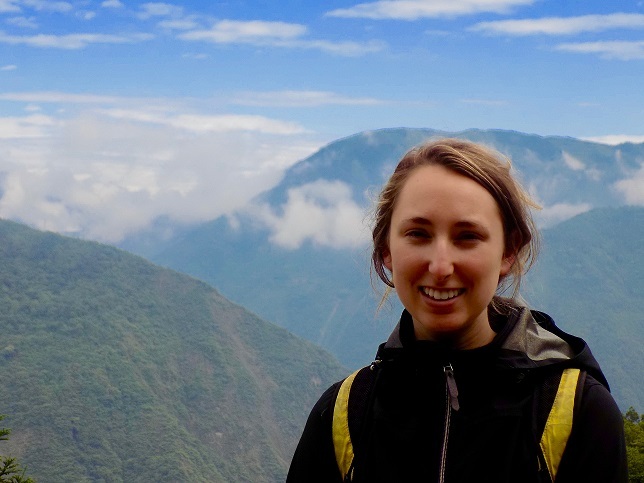 Sierra is currently a National Geographic Young Explorer and a Mitacs Globalink International research award holder, and she is an active member of the Baumgartner Research Group at McGill. Ethics and consent for photos: Ethics approval was granted (10-05-2016) in a REB amendment for a consent procedure which gave participants the opportunity to give oral informed consent for their photo to be used in presentations or media pertaining to this research project (REB A01-E01-14A). All identifiable person’s featured in this photo journal have provided informed oral consent. Acknowledgements: Much thanks to all of the subjects in my photos who graciously agreed to allow me to use their images to help highlight and translate my research findings. Funding for my research this Summer was provided by McGill Global Health’s “Norman Bethune Award’, The National Geographic Societies “Young Explorers Award Program” and Mitac Canada’s “Globalink Research Award Program”. Funding for the larger project was provided by the US Environmental Protection Agency (EPA) STAR program. Published by globalhealth on July 29, 2016 at 10:01 am under Photo Essay. 0 comments.